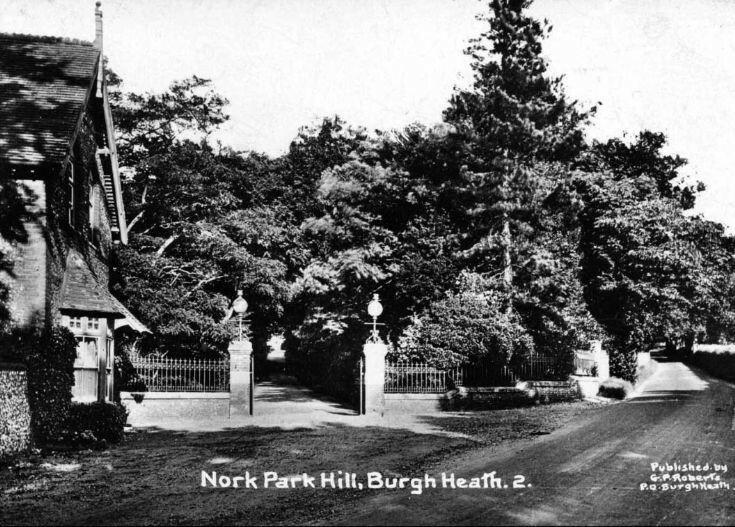 The entrance of what was the drive to Nork House from the Reigate Road, known many years ago as Nork Hill. Two of the pillars at the entrance of the Drive from the Brighton Road still exist. They were moved to the entrance of Ruden Way. They were of course, much better pillars being made of stone and so easily transported. Why they were moved I know not but in those days I suspect that the developers wanted their estates to appear special and, as the Drive was being demolished nearby, it was probably the developer's fancy to reuse the pillars. Has the Drive been destroyed?? ?